Available 360° Photography Service Options We offer full cycle of 360° media production. Filming, Editing, Distribution of Finished product. 360° Photography We offer full cycle of 360° media production. Filming, Editing, Distribution of Finished product. Perfect for showcasing products, event storytelling, advertising, real estate, training material(s) and more. Our 360° Photo slideshows are produced as 360° Panoramas that are viewable in a 360° and can be embeded to website, social media. 1. Files for your own hosting. Files that can be embeded to your existing website. Our 360° Virtual Tours are produced as 360° Panoramas that are viewable in a 360° and can be embeded to website, social media. 360° Video We offer full cycle of 360° media production. Filming, Editing, Distribution of Finished product. 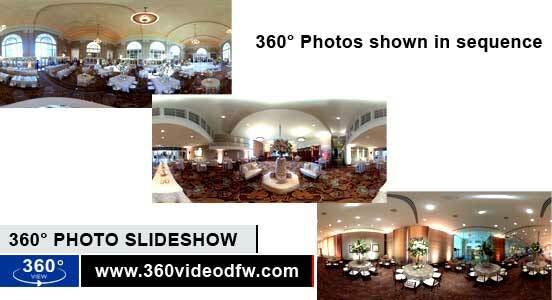 Our 360° Photo slideshows are produced as a video clip that is viewable in a 360° Video format. Our 360° Videos are produced as a video clip in a 360° Video format. Perfect for use for categories such as apartment showcase, home showcase, commercial property showcase and more. Ask about our optional Floor Plan Guide! Our Real Estate 360° Video Tours are produced as a video clip that is viewable in the 360° Video format. Perfect for showcasing products, event storytelling, advertising, real estate, training material(s), apartment showcase, home showcase, commercial property showcase and more. 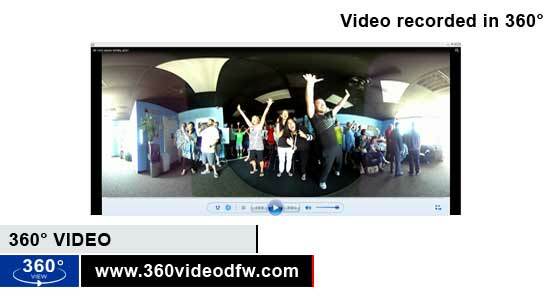 Our Talent/MC Guided 360° Video Showcases are produced as a video clip that is viewable in a 360° Video format. 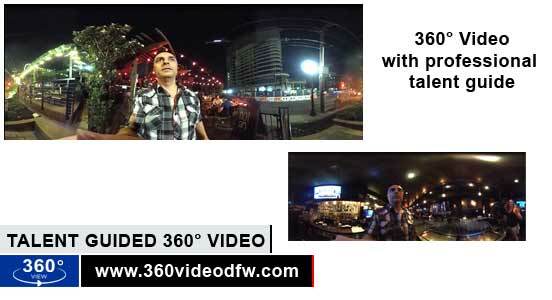 360 Video DFW - Affordable 360 degree Video, Zillow 3D Home, 360° Virtual Tours, Real Estate Video, Real Estate Photography, 360° Immersive Social Media Marketing, 360° Video in the Dallas-Fort Worth Metroplex. 360 Video DFW (www.360videodfw.com) is a division of 360 Photo DFW.